If you’d like to step beyond just simple DIY projects around your house or need to know which tools should make up the basic toolkit for a Woodworker this list is for you. The aim of this list is just to give a brief overview of the basic tools you’ll need to either work wood into projects or begin woodworking as a hobby, they are in no particular order. I won’t go into the various levels or multiple options for these tools, only the basic tool and types. A basic drill will serve many purposes when working with wood. Whether it is drilling holes or driving screws, every woodworker should have a drill. Drills come in two basic flavors, cordless and corded. Most people opt for cordless drills as they offer the most flexibility. The cordless drill can be taken anywhere in your house or out to do what you need. Simply plug the battery pack back into its charger when you are done. Cordless drills come in different voltages, the higher the voltage rating the more power and torque the drill has. 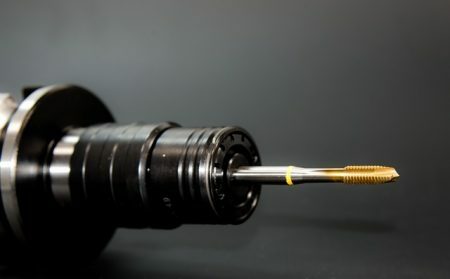 A corded or electric drill is usually more powerful than a cordless model but most beginning or home DIYers don’t need that much power for everyday applications. The jigsaw is a very basic powered saw. It can be used to make almost any cut the woodworker would need to make. It can make straight cuts as well as curved cuts in wood. Like the drill, jigsaws come corded and cordless. Most users can get by with an 18v jigsaw as that should cut most sheet goods and other 3 inch or less woods. Anything above that you would most likely want to start looking at other tools. I find that a jigsaw design that puts your hand closer to the cut is easier to maintain a straight cut with. Some designs are very tall putting your hand well above the cutting surface and the center of gravity for the saw too high for my liking. The jigsaw is a versatile tool, the right one can be used to cut wood, plastic and metal. You can purchase blades for your jigsaw made for different materials and cuts to make the saw even more handy. Where the jigsaw is great for curved and straight cuts, the circular saw is used mostly for straight, long cuts in wood. While that may seem like it’s limited in usage, it’s anything but. 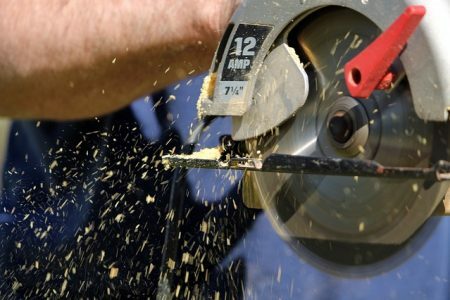 A good circular saw can cut through almost any wood you’ll need cut and its high speed blade makes for a very clean cut. They are great for bringing wood closer to the final dimensions you’ll need, making the wood easier to work with. With the right speed and careful eye, the circular saw can cut large sheet goods down to the right size for your projects. The circular saw can also be used to cut dadoes in projects for an added level of strength to your joints. Some would say a good sander isn’t essential, but to get the look and feel you want in your wood, you need a good sander. If your finished project is bristling with splinters and rough edges, you’ll soon be redoing it. A good sander can take your projects from okay to great with just a little effort. A random orbit sander turns in a random rotation to ensure you don’t over sand one area or piece. They are great for sanding large pieces of wood to ensure a polished look. The regular palm sander works just as well but care must be taken not to put too much pressure or spend too long in one spot as you will sand down that area causing a dip in your project. With a sander you can purchase different grades of sandpaper, the lower the number on the sand paper the more coarse it is. Coarser sandpaper should be used for removing wood or rough spots. The higher the number the less coarse. Higher grade sandpaper is used for polishing or finish sanding. Probably the most important things on this list are the measuring tape and square. Without something to measure your cuts and pieces with you’ll be left either eyeballing everything or guessing. Neither of which is close to ideal. 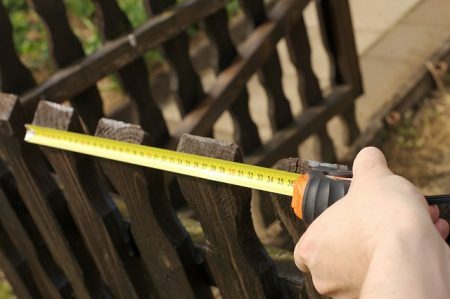 A good tape measure or ruler will take the guesswork out of laying out your plans or estimating lengths of pieces. When looking for a tape measure be sure to find one with a thick tape. Thinner tapes tend to bend and won’t stay level while you are marking your project. Thicker, more stout tapes will stay rigid allowing you to make your measurements and marks. A good square will ensure you are measuring straight or at the correct angles that you need. Most squares can be set to 45 and 90 degree angles to accommodate your needs. Squares can also be used as a guide when making cut lines on your projects, ensuring your cuts are straight. Each of these tools are offered in a variety of price points and with different accessories and power levels. Be sure to ask questions and read reviews when looking for your next tools. Find the tool that fits your budget and does what you need it to do. Looking for used tools is a very good way to try out various tools to learn what they do and what to look for in a good one without spending a fortune to do so. Remember, you don’t need to spend thousands when a $50 tool will do the job just as well. While every woodworker would order these tools differently it is safe to say that with the 5 tools listed you’ll be well on your way to creating projects you’ll be proud of and introducing yourself to the great hobby of woodworking.